Over the past year, we’ve conducted research and surveys to better understand where the future of the mattress industry lies and how we can further shape it. Using those findings, we’ve invested in initiatives that help us improve our product line, upgrade the customer and buying experience and create a timeless brand consumers everywhere can associate with better sleep. Today, June 15th, you’ll notice something different about Amerisleep. Our products, logo and website have been fully redesigned to demonstrate our commitment to leading the sleep revolution. This rebrand coincides with our first flagship store opening on June 17th here in the Phoenix metro area. With this, we usher in the future of mattress commerce. Of course, our core mission remains the same: to provide customers with their best night’s sleep. Some sleep companies confuse customers by offering dozens of mattress options. Others aggressively simplify the decision making process by selling just one mattress model. At Amerisleep, we’ve scientifically-engineered five premium mattresses each at distinct firmness levels to accommodate all types of sleepers (research shows back, side, stomach, and combination sleepers need different levels of pressure relief and support). That way, we don’t sacrifice simplicity or sophistication. We know how important quality sleep is. So, our team maintains a relentless commitment to brainstorming, testing and iterating ways to enhance your sleep experience. To ask questions, exchange ideas or share comments, reach out at [email protected]. 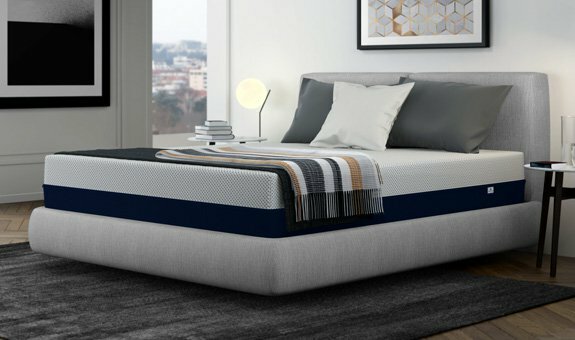 As we continue to reimagine the mattress buying experience, we will need your input to guide us in the right direction so our business and products facilitate the ultimate goal of improving the way you sleep.